The RZR S was introduced in 2009, just a year after Polaris rocked the UTV world with the 50-inch RZR. The RZR S truly started the revolution that created the sport UTV market segment. Back in 2009, it thrilled enthusiasts with a top speed of 63 MPH, 60-inch width, long travel suspension on a stock model making it the ultimate, sport side-by-side. Then in 2011, Polaris raised the bar in the sport UTV market segment with the RZR XP 900. 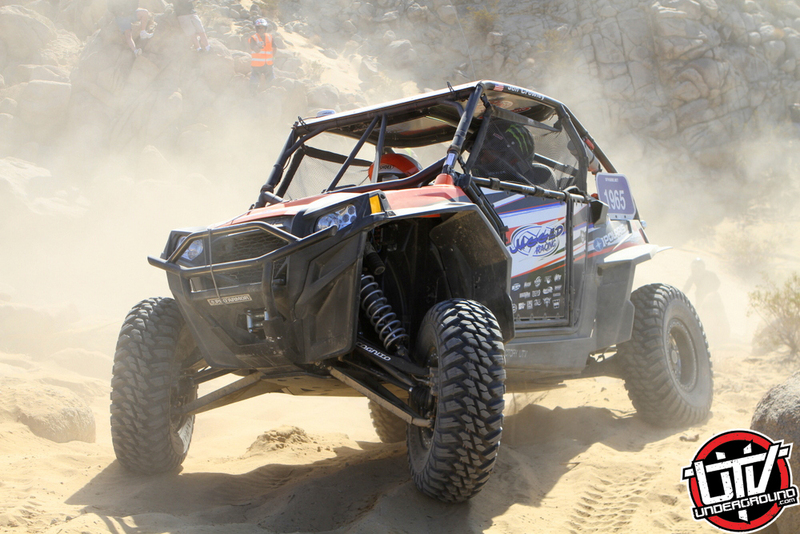 With more suspension travel and lots more horsepower, the RZR XP overshadowed the RZR S in the southwest United States. Many of us out west pretty much moved on to the RZR XP and never looked back. In the dunes and desert, the RZR XP is just a superior vehicle. I have done quite a bit of rock crawling in the last two years with a RZR XP. Mostly surrounding the King of the Hammers UTV race. The RZR XP has a great combination of fast desert suspension mixed with a good size for rock crawling that have made it the vehicle to beat the last few years. 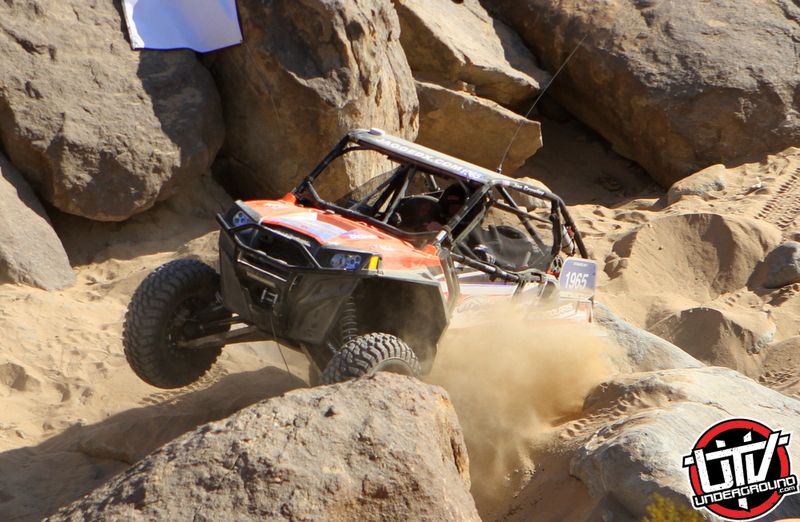 At the 2013 King of the Hammers UTV Race, RZR XP’s filled the podium and were the only vehicles to finish the race. But the King of the Hammers race is touted as the ultimate desert race where you need to go fast in the desert while still being nimble in the rocks. That is a pretty tall order for one vehicle, and the RZR XP does it well. The RZR S is out-gunned in the desert so its numbers have declined while the RZR XP have skyrocketed. I met up with the the crew from Destination Polaris at King of the Hammers this year, and we started talking about a run on the Rubicon Trail. I figured it would make a great show, and Jared agreed. We started making plans for a June trip. Typically, they show up to a ride location and have a new unit provided for them by the local Polaris dealer. With the need to carry video gear, they have preferred using a RANGER XP or RZR XP 4 because of the extra room. Jared put in an order for a XP 4 with the local dealer and I found out about the selection a few days later. I told Jared that the XP 4 was really too long for this type of trail and suggested a RZR XP or maybe even a RZR S instead. After talking it over with Jared and Rick from Placerville Polaris, we decided that a RZR S might just do the trick. Rick ordered up two RZR S units that had factory power steering (EPS). Power steering is so nice to have in general, but even more so when rock crawling. Rick asked what else should be added to help protect the vehicle. These units would be sold after the trip so keeping them looking good was important. The Rubicon is filled with large granite rocks that can punish the bottom of a UTV, so I suggested UHMW skid plates, rocker panels and a-arm guards from Factory UTV. UHMW is a great material for protecting the underside because it is thicker and stronger than factory plastic. It can be molded to different shapes, and unlike aluminum, UHMW slides over rocks and returns its shape after being hit. The day for the trip finally arrived and I brought the RZR XP that I raced at King of the Hammers. We had two other RZR XPs plus the two RZR S. All three XPs had 30-inch tires and looked like they were well at home on the Rubicon. With the stock 26-inch Bighorns, the RZR S units looked much smaller in comparison. I was hoping we could make it in and out without much carnage. Jared from Destination Polaris drove one RZR S and the other was piloted by Mike and Chad who were both in the regional sales force with Polaris. None of these guys had any rock crawling experience so I tried to give them a few tips figuring it could get a little ugly once we started in on the rocks. We headed in past Gatekeeper and I kept an eye on my rearview mirror figuring I would have to get out to spot them through a few spots. To my surprise, they were making it look pretty easy. Must have been my stellar rock crawling 101 instructions. LOL. We stopped quite a bit to get different video shots before reaching our campground near Little Sluice. 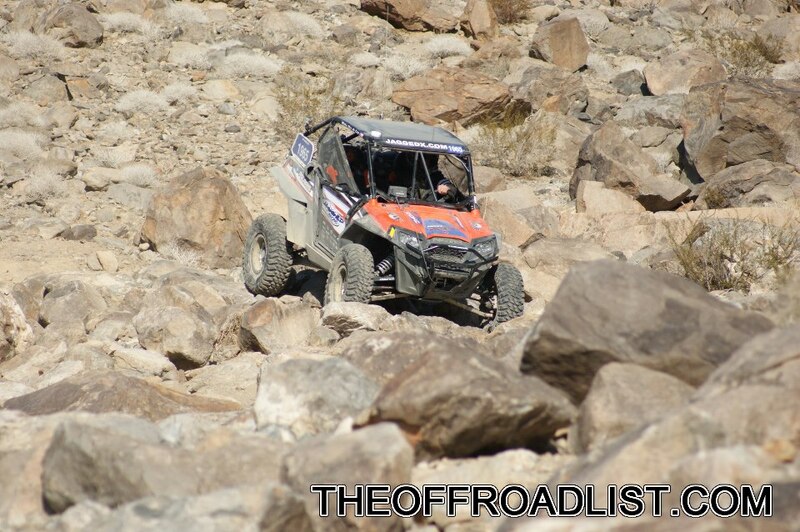 Being back in the rocks in my RZR XP, I had flashes of racing at King of the Hammers going through my head. Part of me wanted to use more right foot and get into race mode again. The other part was worried about getting these rock newbies to camp in one piece. But to my surprise, they kept up a good pace and I really didn’t have to get out of my RZR to spot them. Morning came and after breakfast and some video interviews the crew was finally ready to give this a shot. I headed in first and although many of the trails at King of the Hammers were much tougher, I was being filmed for the Destination Polaris TV show and I wanted to look like I knew what I was doing. I picked a line out with the help of Jacquelyne Theisen who is the Trail Boss for Friends of the Rubicon and also has a RZR XP. Everything went really smooth until I hit one rock that I had to climb with the driver’s front tire. Gravity was shoving me to the driver’s side as I was trying to climb. I didn’t like the hard turn I was having to make to the right so I backed up a few times to take a safer line over the obstacle. Other than that it was a piece of cake. Next up were a couple of stock RZR S. We didn’t bring in any spare parts or even a spare 26-inch tire for these units so my priority was to get them through in one piece. I gave them a few pointers and discussed the line through the rocks, but a lot of that was just for show. I did decide to make one adjustment to the obstacle where I got hung up. With the narrower track width of the RZR S, I figured it was worth a try to avoid climbing the rock I climbed and instead try to sneak around the high side. Jared started off and was making quick work of the lower part of the trail. I found myself doing less spotting and more hiking. He climbed one spot that I was thinking may be tough with less ground clearance like it was nothing, then squeaked right by the rock I was hung up on. Wow, that was pretty easy. Next up was Mike. I stood in the trail a ways farther up trying to do my best to look like I was spotting him for the camera, but Mike was making it look easy. Mike had the line memorized and cruised right through without missing a beat. I was very impressed. After a short celebration, I led them up the trail and back around the bypass back to camp. Now this section of the trail can be challenging as well, especially in a UTV that has 26-inch tires. Even though I had my 30-inch GBC Mongrel tires that gave me a few more inches of ground clearance, I did not have to slow down to wait for these guys. They just buzzed right through a few spots that I figured would need some spotting. Once back at camp and with all of our video work complete, we loaded up our gear and headed for the trailhead. It felt good to drive without stopping so much for the camera, but I wanted to make sure I didn’t lose anyone on the way back. I was once again surprised that Jared was right on my tail and Chad/Mike weren’t far behind him. The only damage we incurred on any vehicle was a rock clipped a hubcap on Jared’s RZR. Pretty impressive! I think the content that Destination Polaris shot will make a great show. All of the RZR’s made quick work of the trail and it was a clear illustration for me about the rock crawling capabilities of the RZR S. While Jared, Mike and Chad are seasoned drivers and followed instruction well, non are experienced rock crawlers. I am going to have to go out on a limb and say it must have been the vehicle that made these guys look good. LOL. Long travel suspension without making the vehicle too wide. A more narrow vehicle can fit into spots that a wider vehicle cannot. Shorter wheelbase helps with turning radius. 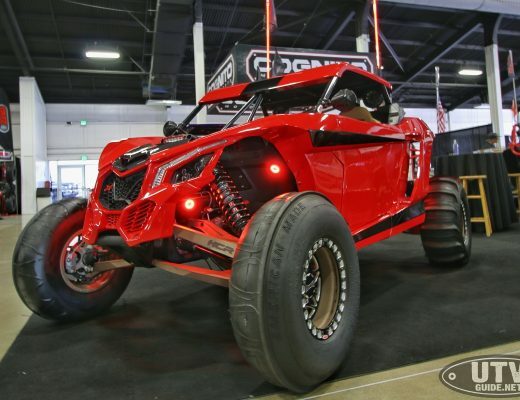 The RZR S is a few inches shorter than the RZR XP and that translates to a tighter turning radius and a more nimble vehicle. Light weight. The RZR S is the lightest of UTVs and this helps it dance through the rocks. Power steering. Don’t knock it until you try it. Some limited editions models have power steering and it is worth its’ weight in gold in the rocks. If I was going to set up a RZR S for the Rubicon, I would probably add doors instead of the nets. Add a factory roof for added protection and to keep me out of the elements. Boost up the pre-load on the shocks a little for more clearance then add a set of 28-inch tires. This combination would be hard to stop. One suggestion I would toss in for the Polaris engineers is to add the ability to unlock the rear differential. Ideally I would like to be able to select locked or unlocked separate from the AWD selector. With this feature, turning radius would be even tighter when unlocked, and the vehicle would not push straight ahead in tight spots as much. Plus an unlocked rear differential reduces stress on the drivetrain, and a locked rear isn’t needed all the time anyways. After their runs through Little Sluice, I teased Jared and Mike that they were ready for a try at King of the Hammers next year in the RZR S or maybe a long travel RZR 570. Not sure that they took the bait on that but it would make for another great show!